A 35-year-old woman, Micheal Modupe, is to spend the next 12 months in prison for stealing a police officer’s N99,000 in his office, an Abeokuta Magistrates’ Court in Ogun State ruled at the weekend. Modupe, whose address was not provided, was arraigned for stealing. According to News Agency of Nigeria (NAN), the light-fingered woman pleaded guilty. 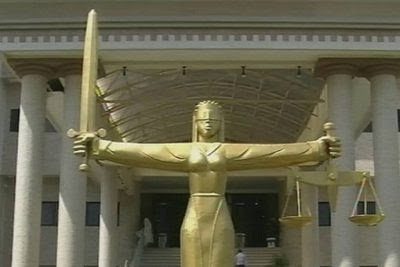 The Chief Magistrate, Mrs. Adeola Adelaja, said the court had no option but to sentence her since she had pleaded guilty. The sentence was without an option of fine. Police prosecutor Sunday Eigbejiale told the court that the woman committed the offence on April 7 at 4p.m. at Onipanu Police Station, Ota, Ogun State. He said the accused stole N99, 000, property of a police officer, Mr. Akinleye Akinwale. Eigbejiale said Akinwale, the complainant, is attached to the Divisional Crime Office at the station. According to him, the complainant kept the money in his bag in the office and discovered that the money was missing.